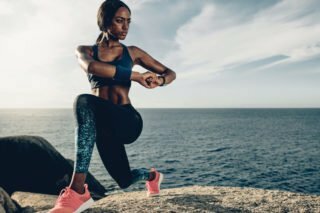 Your DNA & Your Fitness Regime: How Are They Linked? Take a deep breath, Lorraine tells herself quietly; it will all be fine. She exhales slowly and moves through the revolving doors of the gym, swipes her brand-new gym card and smiles nervously at the receptionist. Descending the steps, she tries to remember whether it is better to use heavy weights and fewer reps when trying to tone up and slim down, or the other way around. What did that article featuring a fitness regime she read online say again? At the bottom of the stairs, she stops, taking in the sight before her. Everywhere she looks, people are busily exercising, with fast-paced music belting from big speakers. The enormous room is filled with a vast variety of machines and equipment. Everyone looks fit and focused. Lorraine gulps, and decides to plant herself on a stair machine. How do these people know where to get started, she asks herself, and how would she know if she was getting it right? Maybe she should employ the help of a knowledgeable gym buddy, or possibly a personal trainer. When it comes to fitness and physical exercise, we have arrived at a place in history where the menu of available options hardly has any limits. You could, like Lorraine, choose the never-ending list of exercise options (where you feel as though you need training to do the training) at the gym, or try outdoors sports, another more complex and still-developing field of fitness. Venture online, and a whole new world of advisers and YouTube fitness videos awaits you. However, as with most aspects of health, what works well for one person may not be optimal for another. This is because of genetics – because different people are born with different genes that dictate the specifics of their optimum training regimes. These genes influence the various aspects of fitness, from whether we are better at performance training than resistance training, or vice versa, to whether we train better in the morning or the evening, and how quickly we recover from hard physical exercise. One thing we do know for certain: we all need to dedicate time in our week to physical exercise, in order to maintain optimum health. So, besides listening to our body for clues, how can we ensure an optimum fitness regime? If you want to know for sure, the best way to do this is through genetic testing. 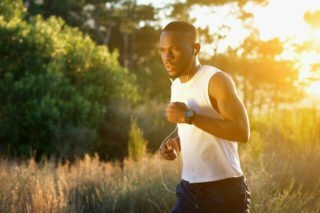 Through in-depth research, geneticists have been able to isolate specific genotypes that are consistent with desirable athletic performance and cardiovascular endurance, as well as injury risk and other, less favorable factors. For example, according to a study published in the journal Current Opinion in Pediatrics, the ACTTN3 R/R genotype was consistently associated with power-oriented performance. What will the DNA tests tell you? In the interests of research on this topic and to better understand how to personalize my fitness regime, I enlisted the help of JOINCIRCLES and DNAnalysis, which provided me with the opportunity to try out their DNA Sport test. A few weeks after sending a DNA-rich swab of my saliva to the laboratory, I received my test results, which, although there was absolutely no preparation I could do beforehand, filled me with some trepidation. But I reasoned that knowledge, after all, is power, and that the information could only do me good. Opening the letter containing my genetic information, I was impressed with the logical organisation of the personalized report. 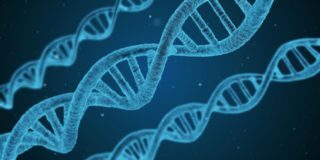 First, the reader is introduced to some background information on genetics and gene variations, and how these influence how we function physically. You probably have a good idea about DNA and its complex workings, but one thing you may not know is that gene variations are the reason why you and your gym buddy may feel completely differently two days after exactly the same workout. 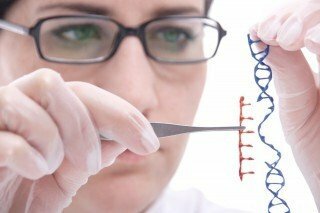 Gene variations are what make us unique, because, with the exception of identical twins, all humans have variations in their genetic code. These variations also have an influence on the biological pathway in which the gene is active, which – according to my personalized report – affects metabolic functions that are important for maintaining a state of health. At the back of the report is an explanation of all the genes analysed in the test, which helps you to better understand the impact factors of each gene, and how it affects your fitness regime. After receiving my results, Doig-Gander invited me to the office to discuss the specifics. The test informed me that I have medium to high-impact genetic variations in the key genes involved in soft-tissue health and protection. The explanation table isolated COL1A1 G>T, one of the major collagens in connective tissue. It was explained that altered expression of this gene can lead to injury risk due to a structural change in the properties of the tissue. As a result, although I am apparently well predisposed to aerobic exercise, I would need to balance this type of high-impact-intensity exercise with increased stretching and lengthening of my muscles and cartilage, as well as injury-preventing conditioning exercises. On the other hand, the results also showed that I recover rapidly from strenuous exercise. Since nutrition naturally plays an important role in support of these genes, I was advised to ensure adequate intake of vitamin C, iron and protein. These therapeutic nutrients strengthen and heal bones, joints and soft tissue, and they are necessary for collagen turnover. The test was also able to explain why I prefer exercising in the morning. The CLOCK gene is an essential element of the human biological clock, which is involved in metabolic training. Because I have a variation known as CLOCK 3111T>C, it was concluded that the time when I have the most energy for training is in the morning. The report also included a section on the key training principles I should incorporate into my fitness regime, based on my genetic results. It included the level of intensity that was best suited to my profile, as well as the types of training I should engage in most regularly for optimum fitness. This focused on those in aerobic, strength and weight training. Remember Lorraine? Her initial thoughts were spot-on. Whether you are at the start of a personalized fitness regime or just looking to optimize yours, there is a good person to get on your side, the one who will know exactly how to get you from point A to point B, in a style that’s made for you: the personal trainer. These individuals specialize in making sure you perform the moves correctly, and it is their job to get you into the right habits. Why not add the gym buddy too? That way you can split the bill and make it more cost-effective. 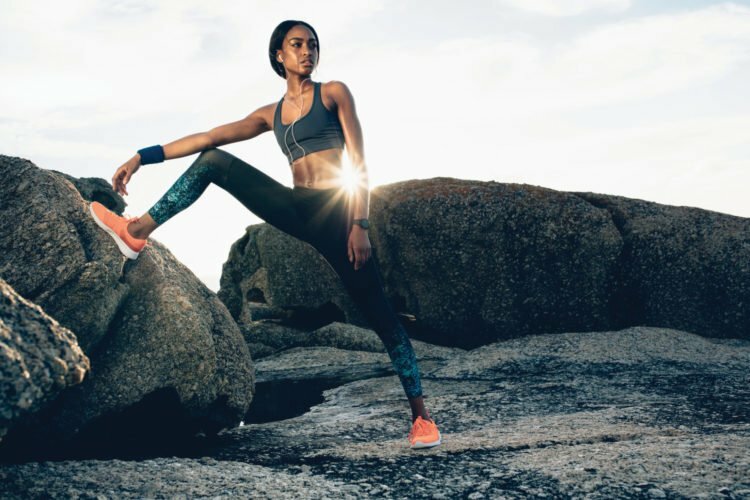 Why personalize your fitness regime? If you’re not a serious athlete and you’re not training for the Iron Man, why should you focus your attention on figuring out what’s best for your fitness? Because having the knowledge of what you have been genetically endowed with when it comes to your fitness is invaluable. Not only will you ensure that your weekly exercise routine is actually effective, but by knowing what’s in your genes, you can know what your body really needs. This applies to nutrition, flexibility, the amount of rest you need, what supplementation you require, and whether you need to focus more on weights or cardio. By adding a personal trainer to your regime, you will ensure your motivation struggles are over. Finally, a gene test is a good way to determine whether you respond better to exercise or diet when it comes to weight loss. Moreover, this information never changes, so you can develop a strategy for life. Click on the link to find out more about DNA testing and how you can have it done yourself. Click here to find out why mobility is so important to your fitness and health.